On an initial enquiry we only require a name and e-mail address to be provided to enable us to discuss basic concepts. However the client must accept that failure to disclose a material fact to either Platinum or a product provider could result in the customer not receiving the anticipated benefit from the product. All of our on-line application forms are protected by 128 Bit SSL encryption keys and information is sent via 128bit SSL certificates. This is the same technology that is used by major banks, government institutions and credit card companies. We DO NOT download cookies or any other software or tracking devices onto your computer. Within our webpage we do captue terms entered into search engines to enable us to better focus our futute marketing. We cannot identify individual customers from this information and in no circumtances is any personal data captured, stored or recorded. We do capture IP addresses of customers. This can be of help in identifying bogus or otherwise malicious users. We will not telephone clients unless we have their permission to do so. Entering a telephone number on any of our electronic enquiry forms is taken as permission to call. However we will not telephone you to try to secure additional business. We believe our web security policy conforms to the EU Directive 2002/58 on Privacy and Electronic Communications, otherwise known as E-Privacy Directive. If you have any questions about any of our policies or procedures please contact our compliance officer by writing to : The Compliance Officer, Platinum Financial Consulting, The Old School House, East End Road, Bradwell-on-Sea, Essex, CM0 7PY. My wife and I cannot praise too highly the service you provided in changing our pension arrangements. Your staff were helpful, courteous, prompt and compitent and we were kept fully informed of progress throughout. 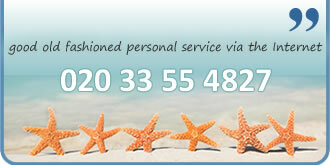 We would have no hesitation in recommeding your company.